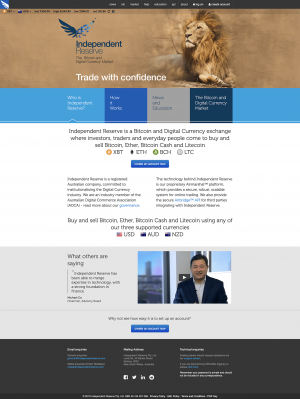 Independent Reserve is a Bitcoin and cryptocurrency exchange based in Sydney, Australia. The exchange was founded in 2013 with a mission to provide secure, robust and regulated financial services to the cryptocurrency industry. Independent Reserve primarily serves the Australian market but accepts traders from around the world. The exchange is based out of Australia with their headquarters located at Independent Reserve Pty. Ltd, Level 26, 44 Market Street, Sydney, 2000, New South Wales, Australia. As Independent Reserve is an Australian based exchange, they are a registered Australian company (ABN 46 164 257 069) and are highly regulated under Australia’s financial sector. As well, Independent Reserve is a member of the Australian Digital Commerce Association (ADCA). Independent Reserve has built up a viable reputation in the cryptocurrency industry and is highly respected by traders and industry experts from around the world. However, there are so many cryptocurrency exchanges to choose from, so why choose Independent Reserve and are they right for you? Find out in our extensive review where we analyze all aspects of the Independent Reserve cryptocurrency exchange and discover if they’re the right exchange for you. Independent Reserve features their very own proprietary web based trading platform called the Airmarshal™ platform. This platform has been designed from the ground up to provide a secure, robust, and scalable trading system for the cryptocurrency markets. The platform is also incredibly easy to use and is perfect for beginners and casual cryptocurrency traders. The platform does an excellent job at making a complex process of peer to peer crypto buying and selling, simple and easy. The platform is also well suited for experienced and more advanced cryptocurrency traders as well. Traders have the ability to place multiple order types including; limit buy, limit sell, market buy, market sell, stop limit buy, and stop limit sell. The Airmarshal™ platform also features a sophisticated charting package complete with multiple time frames, chart types, technical indicators and drawing and analysis tools. Traders can also view the market depth in chart format as well as the trade history and current buy and sell orders. All in all, the trading platform by Independent Reserve is of very high quality and suitable for all experience levels of traders. Independent Reserve deals strictly in the cryptocurrency markets by offering an array of the most popular cryptos to buy and sell for fiat currency. The cryptocurrencies featured at Independent Reserve are Bitcoin (BTC), Ethereum (ETH), Bitcoin Cash (BCH), Litecoin (LTC), and Ripple (XRP). All of these cryptocurrencies can be traded against fiat currencies such as the US Dollar (USD), Australian Dollar (AUD), and the New Zealand Dollar (NZD). The cryptocurrencies offered can be traded on the open exchange market as well as on the OTC (over the counter) market. On the Independent Reserve OTC market, traders can buy and sell large amounts of crypto with fast and secure settlement, deep global liquidity, guaranteed prices, and facilitate orders over $500,000. Overall, the extent of crypto assets offered is fairly small, but they are the most popular cryptocurrencies available. The fees and commissions imposed on traders at Independent Reserve are very favorable for those with a high 30 day trading volume. Traders who trade 900 BTC or more a month are charged a trading commission of just 0.1% and traders who trade less than that will pay up to 0.5% at the maximum. Other fees at Independent Reserve are for deposits and withdrawals. All cryptocurrency deposits are free as well AUD deposits of over $100 via electronic funds transfers and AUD deposits of over $5000 via SWIFT. A $0.99 processing fee applies for small electronic fund transfer deposits and a $15 processing fee applies for SWIFT deposits under $5000. As for withdrawals, Australian Dollar (AUD) withdrawals are free of charge and international or non AUD withdrawals have a fee of $20. As for cryptocurrency withdrawals, they are as follows. The Independent Reserve cryptocurrency exchange is a very safe and secure exchange with an excellent reputation. Since the exchanges establishment in 2013, they have had an impeccable reputation with no hacks or loss of funds. Independent Reserve employs the latest and greatest security measures such as utilizing two tier 3 data centers across Australia to ensure data integrity. Also, the majority of cryptocurrencies held by the exchange are stored offline in secure cold storage with multi-layer encryption in physical vaults. Also, all transmitted data is encrypted with top of the line SSL encryption to protect the users personal and sensitive data. Furthermore, Independent Reserve is a member of the Australian Digital Commerce Association (ADCA) which helps to ensure sound security practices. All in all, the Independent Reserve crypto exchange can be trusted to provide safe, secure, and fair crypto exchange services. Independent Reserve provides their customers with great customer support. Clients can reach support representatives via email or through the built in support screen. The support received is usually quick to respond with responses always within a 24 hour time period. Additional methods of support include an extensive FAQ page and support through the exchanges social media platforms. The Independent Reserve crypto exchange is a high quality exchange based out of Australia. The exchange provides traders from around the world with secure, reliable, and robust crypto exchange services. The trading platform featured by them is great for both beginner and experienced traders and fiat currencies are supported for the buying and selling of the crypto assets offered. All in all, the Independent Reserve crypto exchange is a viable exchange service and could be the right exchange for you. The following are the common questions that customers inquired about Independent Reserve. Yes, it is regulated by under Australia’s financial sector. No, Independent Reserve is a legit exchange and it’s licensed in Australia. Where is Independent Reserve based? Independent Reserve is based at at Independent Reserve Pty.  Ltd, Level 26, 44 Market Street, Sydney, 2000, New South Wales, Australia. Independent Reserve is trustworthy and well regulated. Independent Reserve could use more things to trade for their clients. Independent Reserve has a trustworthy reputation that includes favorable trading options. Independent Reserve could have more assets to trade.